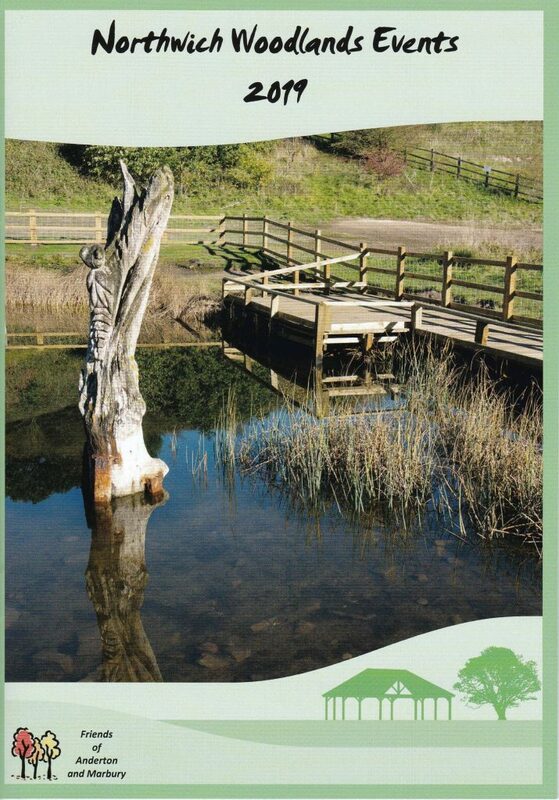 Details of FoAM’s events and Ranger led events in Northwich Woodlands during 2019 can be found in our Events Booklet. Copies of the Booklet are available from the Rangers’ Cabin at Marbury and also in the Northwich Customer Service Centre, Weaver Hall Museum, Lion Salt Works Museum and local libraries. If you prefer to print your own list of events, you can find them in our Diary Dates for 2019.